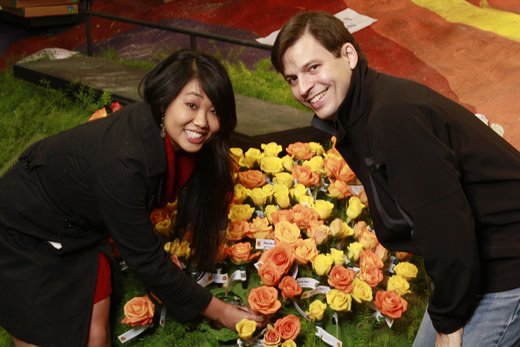 Dr.Shih and her husband Chad Aleman, MD, decorating and dedicating a rose on the actual float prior to the parade. 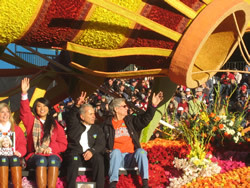 Jennifer Shih, MD, a current Fellow in the Department of Allergy and Immunology at Emory University School of Medicine and a heart transplant survivor, was an honored guest on the Donate Life float in the 2011 Rose Parade. Dr. Shih was one of five winners who received a trip to Pasadena, California, and an opportunity to be in the Rose Parade through an essay contest sponsored by Astellasâ€™ Ride of a Lifetime. In 2004, after Dr. Shih had completed three years of pediatric residency to fulfill her dream of becoming a pediatric cardiologist, her world was suddenly turned upside down. She was on call one night Cincinnati Childrenâ€™s Hospital when she started feeling tired and short of breath. She knew something was wrong. Instinctively, she performed an echocardiogram and found fluid around her heart.Â Shih diagnosed herself with a heart condition, giant cell myocarditis. Her condition quickly deteriorated and within a week of being hospitalized, she was told she would die without a heart transplant. She was placed on a BiVAD (Bi-ventricular Assist Device) to keep her alive. Less than two weeks after self-diagnosis, she received a life-saving heart transplant. Although she wasnâ€™t able to practice pediatric cardiology anymore due to the activity and risk of infection exposure post-transplantation, she was able to change her specialty to allergy and immunology. Shih says her experience makes her a more empathetic doctor because she truly understands what it is like to be a patient. Along with her family and friends, Shih created the Have a Heart Benefit Fund in 2004, which raises money to provide patient care, education and research the transplant field.Â She says she has always loved helping people, and she felt this would be a great way of showing her appreciation to donor families. â€œI would not be alive today without my gift of life. I am a testament to the impact becoming an organ donor can be. You can have the opportunity to save eight lives in one day by being an organ donorâ€¦ how many of us would have that opportunity otherwise?â€ Shih asks. 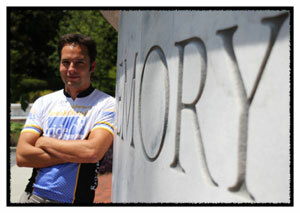 Thomas Kukar, a new Emory faculty member in pharmacology, is participating in a charity bicycle ride for Alzheimer’s disease research called the Alzheimer’s Breakthrough Ride. On Thursday and Friday, he will be riding from Oklahoma City, OK to Wichita, KS.Â Tomorrow’s ride is 100 miles, and it’s supposed to be 97Â°F in Wichita. Kukar’s willingness to take on this challenge indicates that he shouldn’t have too much trouble adjusting to Atlanta’s climate. He comes to Emory from the Mayo Clinic in Jacksonville. 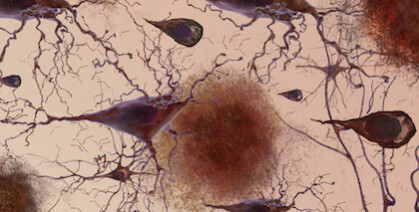 There, he investigated potential drugs that could change how the body produces and processes beta-amyloid, a toxic protein fragment that builds up in the brains of people with Alzheimer’s. The money raised by the bicycle ride goes to the Alzheimer’s Association. Emory University Nell Hodgson Woodruff School of Nursing faculty and students traveled to Moultrie, Ga., June 13-25 to provide valuable health care services to migrant farm workers and their families. Nursing faculty and students make the trip annually to the rural, agricultural community three hours south of Atlanta as part of the Farm Worker Family Health Program. There are more than 100,000 migrant and seasonal farm workers in Georgia. Migrant farm workers face more complex health issues than the general population because of the physical demands of their jobs, pesticide exposure, poor access to health care services, and substandard housing conditions. By day, the students worked at Cox Elementary School with farm worker children. Each evening, they set up mobile clinics to treat adult farm workers. The students worked alongside other Georgia allied health students in physical therapy, psychology, pharmacy and dental hygiene. Wold, who has participated in the project since its launch in 1994, estimates that the program has treated more than 14,000 farm workers over the course of its 16-year history. 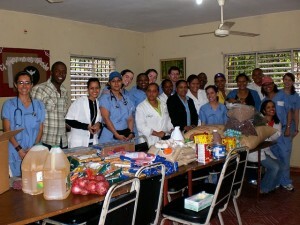 Read more about the studentsâ€™ Moultrie experiences on the Emory Nursing blog. Riders gather at the Hope Clinic of the Emory Vaccine Center for the final leg of their ride. More than 130 bicyclists rode 200 miles in two days to raise $188,660 for AIDS vaccine research at the Emory Vaccine Center. The AIDS Vaccine 200 on May 22-23, sponsored by Action Cycling Atlanta, was the eighth annual ride. The series now has raised more than $680,000 for AIDS vaccine research. This year’s riders traveled from Emory to Eatonton, Georgia, and back to Emory along with a volunteer crew. Because of generous sponsorships, Action Cycling donates 100 percent of funds raised by participants to AIDS vaccine research. These unrestricted funds fill gaps that cannot be met by grant dollars alone. Long before a 7.0-magnitude earthquake ravaged Haiti, a mother-daughter-daughter trio of Emory’s Nell Hodgson Woodruff School of Nursing graduates was already working in Haiti to help thousands of orphaned children there. 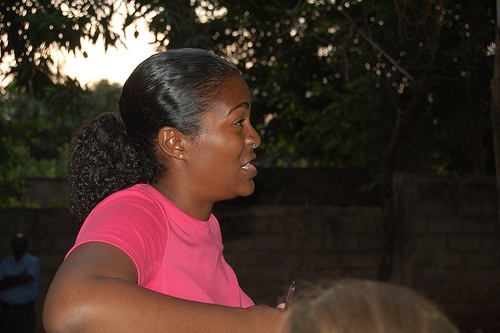 Cheron Hardy (03MN) joined the staff of the nonprofit Eternal Hope in Haiti (EHIH) shortly after graduating from Emoryâ€™s Nell Hodgson Woodruff School of Nursing. EHIH was formed in 1993 by nursing alumna Twilla Haynes (80MN) and her daughters, Angela Haynes (91PH, 08N, 09MN) and Hope Haynes Bussewius (93MN). In 1993, Twilla Haynes (80MN), of Hoschton, Ga. â€“ with the help of her daughters, Angela Haynes (91PH, 08N, 09MN) and Hope Haynes Bussewius (93MN) â€“ founded Eternal Hope in Haiti (EHIH), an organization dedicated to better health care for Haitiâ€™s people. Three years later, they opened the Hope Haven Orphanage in Cap Haitien in the northwest province of Haiti. Emory Wire, a publication of the Emory Alumni Association, recently sat down to talk with the Haynes about their experiences in Haiti. Over the past few weeks, more than 150 Emory University faculty, staff and students, as well as Emory Healthcare staff, have volunteered with Atlanta-based MedShare, sorting thousands of medical supplies that are being shipped to medical personnel on the ground in Haiti. Patricia Guasch, RN, director of Emory University Hospitalâ€™s rehabilitation nursing services, is one of the many Emory MedShare volunteers lending a hand in the relief effort. Guasch and several of her colleagues from the Emory Center for Rehabilitation Medicine, along with their children, spent the King Holiday weekend sorting supplies at MedShare. Itâ€™s not often that individuals think about the hard work responsible for the fruits and vegetables for our dinner tables every day. Somehow it magically appears in the produce department season after season, without fail. We donâ€™t have to plant it, water it or pick it. Itâ€™s ready for us to take home and prepare. We never see the thousands of migrant farmworkers who move from county to county during the peak season, providing the growers with the labor required to keep farms bountiful. These men, women and children â€“ unlike the plants they take care of â€“ have no roots and live from day to day wherever they are needed, and until their job is done, says Tom Himelick PA-C, MMSc, founder and director of the South Georgia Farmworker Health Project, and Emory Physician Assistant (PA) Program faculty member and director of community projects. For most of these workers, having a family health care provider is unthinkable. The combination of poverty, lack of health insurance, language barriers, limited transportation and cultural differences creates a vacuum when it comes to health care. Emory Healthcare physicians provided $48.9 million in charity care in fiscal year 2008â€“2009, a total that does not include uncompensated care provided by Emory physicians practicing at publicly funded Grady Memorial Hospital and other affiliate institutions. Charity care includes two types of care. Indigent care refers to care provided to patients with no health insurance, not even Medicare or Medicaid. Catastrophic care refers to care provided to patients who have some coverage but whose medical bills are so large that paying them would be permanently life-shattering. 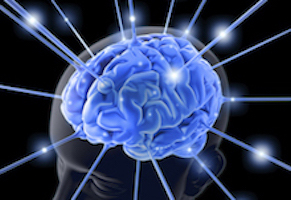 People without ability to pay for care are not faceless statistics to Emory clinicians but patients in need of care. In fact, Emoryâ€™s Wesley Woods Center exemplifies Emory Healthcareâ€™s commitment to serving patients and their families who are facing issues related to aging. The majority of the 30,000 patients treated last year at Wesley Woodsâ€™ 100-bed hospital and outpatient clinic were elderly, in their 70s, 80s, 90s and older. But Wesley Woods also is a life-saver for many younger patients who require chronic care and specialty services for which the center is known, including wound care, rehabilitation and respiratory care, such as weaning from ventilator therapy. 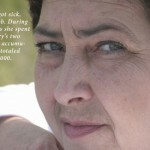 For example, patient Sherry Smith’s CT scan at Emory University Hospital showed large blood clots blocking the vessels leading to her spleen and kidneys. Over the next two weeks, she had four operations. Surgeons removed the clots and her spleen and cut out portions of her bowel that had been destroyed by lack of oxygenated blood. She required a feeding tube and a tracheotomy to help with breathing as she recovered. Patients can move seamlessly between the two Emory Healthcare facilities for needed care. Smith moved back and forth between Emory and Wesley Woods as she improved. She also got some unexpected help in paying for her care. When she got sick, Smith lost her job. During the six months she spent moving between the two hospitals, her bill at Wesley Woods was more than $120,000, and that at Emory University Hospital, almost $130,000. To her relief, Emory offered to pay her COBRA insurance fees to help her maintain her insurance for the time allowed. Payments would cover only part of the actual cost of care. Wesley Woods social workers also helped Smith apply for Medicaid to cover health care costs while she continues her recovery in a rehab facility closer to her home. Read more about charity care at Emory in the Community Benefits Report 2009.